Vendor consolidation, shrinking markets and competitors that are no longer defined by traditional boundaries. These trends are catalysts that have pushed organizations to consider adding new offerings more than ever before. But, as new services are evaluated, here's another common trend. The financials are scrutinized in exacting detail. In contrast, a new services marketing program is often an afterthought. 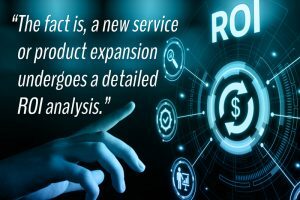 The fact is, a new service or product expansion undergoes a detailed ROI analysis. And, few equipment purchases receive final approval without a realistic payback period. That makes sense. But, where do sales and marketing fit in? An effective and coordinated marketing program will elevate topline revenue and propel the payback period into a best case scenario. It takes diligent planning to prepare, install and successfully execute a new capability. And, the most effective way to ensure top-line growth is to develop a new services marketing program using the same diligent planning process. Regardless of whether you added a capability previously or plan to in the future, integrating an effective marketing program in conjunction with your new capabilities launch will accelerate your revenue. In project management terms, the critical path is completing a project in the shortest amount of time possible without sacrificing the requirements essential for success. But, the critical path to your customers’ decision-making process starts with “what’s in it for me”. Fill in the blanks: Companies with problem ______ use our new service to accomplish/improve/eliminate________. Next, as a management team, define the roles, responsibilities and timelines. In fact, it may only take a short meeting to compile this information. But, make sure you spend the time necessary to fully examine customer pain points. Although current customers may consider your new service an obvious choice, prospects won’t. If they don’t perceive value, they are unlikely to buy from you. Furthermore, if you don’t have the internal resources to start marketing your new services effectively, look outside the company. Adding a few more customers to the mix will far out weight the cost of external support. A successful launch requires a team effort. A new services marketing program combines functions from both sales and marketing. Since responsibilities vary depending upon the organization, you may choose to distribute tasks differently than recommended here. But, applying critical path dates and deadlines will keep your campaign on track. Develop a target account list. These are the customers and prospects most likely to need your new capability and/or represent significant revenue opportunities. Assign new prospect accounts to the appropriate reps. Develop a contact list of decision makers in each target account. Make sure it includes both the email and street address. This information is essential to communicating information as your capabilities near launch. If you use a CRM system, download the data from there. Determine how your sales team will target these accounts. For example, it might include scheduling presentations with key decision makers, developing a webinar or conducting a facilities tour to see the capabilities in action. Plus, add relevant information to PowerPoint decks and a capabilities overview for RFP responses. Develop a training plan to ensure the sales and customer service team understands the capability, what to look for in an account to identify an opportunity and how to present it effectively. Make sure they have the basic knowledge that allows them to answer questions. And if they aren’t able to, define the subject matter expert who can follow up. 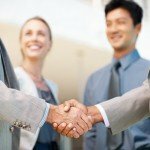 Data and customers are unique company assets. Although both are essential to your entire business, using data to better understand your customers and target your best prospects will pay long term dividends. Develop the spreadsheet format that sales should follow when compiling the target account list. Although they are only responsible for the customer and prospect information, consider adding other useful fields such as vertical market, company size, department, YTD sales revenue and other data that will better help you identify the best prospects and market your new services. Once sales completes the list, refine it. Start by cleansing their data. Correct misspellings, capitalizations, incorrect use of company names and email address extensions. In a recent presentation to the Great Lakes Graphic Association, James Martin, Executive Vice President of the Specialty Graphic Imaging Association said, "People don’t know how they want to access information until they need it. At that moment, they want it in the form that best fits their needs. That could be print, website information, a blog post, social media and more. And that means you need to make sure your message is available in various forms that allow a prospect to access it in the way they prefer." You should develop communications for a new services marketing program in the same way. Use the pain point and value proposition information here. Although this is a single related task, it will take time to plan, develop, review and produce this information. So, allocate the appropriate time and resources. Develop content that describes the new capability, similar to the message in your marketing materials, that your sales team can post to LinkedIn, Facebook or the other social media channels you use. Develop a case study detailing the value it provided your customer. If you don’t have one to feature today, develop a use case to better demonstrate how your new capability benefits customers. Make it a topic of your newsletter. Connect newsletter articles to the content you develop. If you don’t have a newsletter or an effective way to execute a nurturing campaign, InterEdge makes it easy to develop and send one regularly. Plan an event or open house. If your new capability includes production equipment, an in-person event builds trust and strengthens relationships.Consider a video. A video can highlight the value of your capabilities regardless of what they are. A broad mix of tactics is essential to effectively marketing your new capability. Once you have your campaign defined, detail the exact dates to complete or launch each task. For example, the target account list will take a few weeks to compile. But, the contact data is essential to communicating a direct mail or email message to those accounts. And, you can’t produce a video showcasing your new capabilities until they are up and running. Furthermore, the sales tasks require more sweat equity than budget but there are direct costs associated with marketing. So, consider your options and define an appropriate budget. These initial marketing efforts create interest and may even generate new business you weren’t expecting. But, long term success is more than a one-shot deal. It requires a consistent ongoing effort. And, that means continuing to communicate useful information and refining your message if necessary. For example, collect feedback from client interactions to determine if your messaging is on target. What is the customer service and sales team hearing that’s different from what you anticipated? Are there key points of distinction prospects value that you didn’t consider? Take this information and revise your plan accordingly. Formulating and executing your marketing plan will allow you to maximize the investments you make. Without a campaign, your new service could turn into the tree in the forest that falls down. Does it make a sound? Instead, make sure you optimize your top line growth and the value your audience gains from your expanded offering. InterEdge Marketing assists organizations that lack the time, resources or expertise to develop an effective marketing program. We specialize in developing and deploying effective communications, both digital and print, that meet the needs of your target audience. Contact us for more information.